What if you can do what you love while helping along the way? Such is the philosophy of The Discovery Leisure Company, Inc. (TDLCI), the Filipino hospitality group behind some of the finest award-winning hotels and resorts in the country. It is a sentiment shared with their international NGO partner Waves For Water, which works on the frontline to provide clean water access to communities around the world. TDLCI’s maxim “Service That’s All Heart” applies not only to how they care for their guests and clientele, but it is also the guiding principle as they touch the lives of those in need. After all, the hospitality industry not only provides gainful employment, it also generates substantial economic and social impact for partner communities, no matter how far-flung they may be. Forged in 2016, the partnership between TDLCI and Waves For Water resulted in its project #TogetherForWater, with an initial outreach program in Nagtipunan, Quirino. 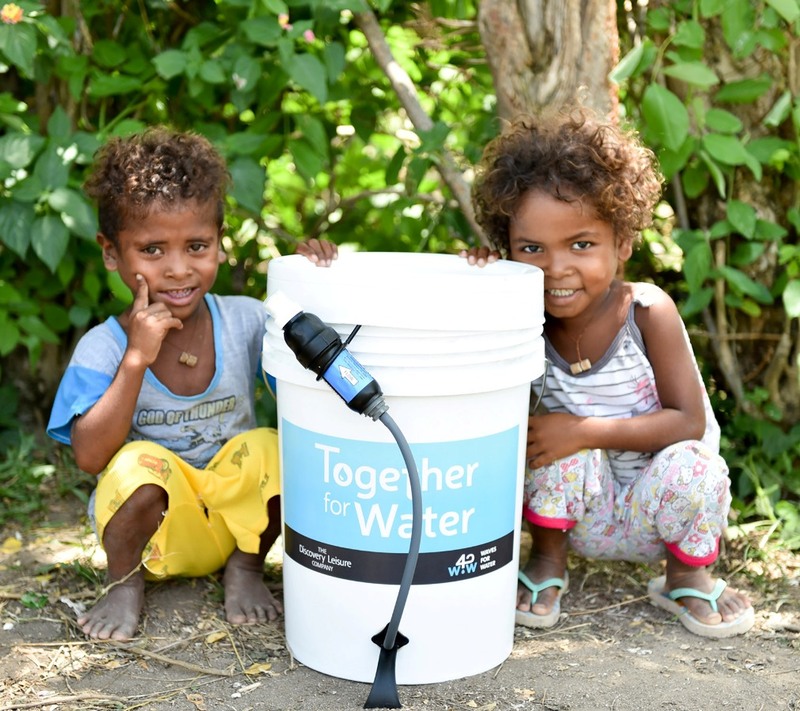 Located in the mountainous northern part of the Philippines, the local indigenous Agta community finally gained access to clean water via 10 water filters, potentially benefiting close to 1,000 people. Access to clean water is a basic human right. It reduces poverty and increases opportunities for education and employment, thus contributing to the advancement of individuals and their communities. To ensure the long-term sustainability of this program, TDLCI’s group of hotels and resorts—among them Club Paradise Palawan, Discovery Shores Boracay, Discovery Primea Makati, Discovery Suites Ortigas and Discovery Country Suites Tagaytay—has pledged to raise Php 200,000 each for their respective neighboring indigenous communities where clean water is needed the most. A series of unique fundraising events were organized by employees of TDLCI in the spirit of giving. From Discovery Suites’ fun spin classes in Ride Revolution, where donors “ride” for a cause in an exciting workout environment, to the full-house Seasoned to Perfection Charity Dinner at Flame in Discovery Primea, where chef-turned-GM David Pardo de Ayala stepped out of the boardroom and back into the kitchen to specially curate a six-course menu. Other activities include Adopt-a-Household, where one can donate a water filter set for a family, to Change for Water, where guests’ loose bills and change were collected – a little goes a long way, after all. All these were set into motion towards the noble cause of providing such a basic necessity as clean water, which for many in remote areas has become a precious commodity. Today, this life-changing partnership has seen the donation of 60 water filters in Sitio Carla, Malay, Aklan; 60 water filters in Sitio Camanga, Coron, Palawan; 30 water filters and two 1,000-liter tanks as a rainwater harvesting system in Sitio Suha, Norzagaray, Bulacan; and 60 water filters in Sitio Yangka, Capas, Tarlac. Apart from the impact these initiatives have had in the aforementioned communities, a change in TDLCI’s employees was also realized. 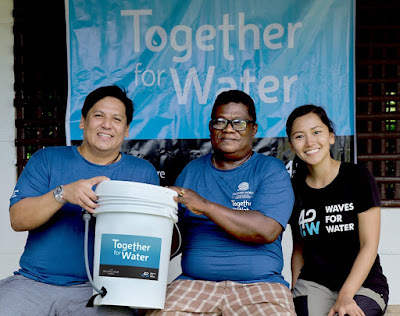 “Waves For Water requires a deep commitment from our employees as it is an exercise in getting out of their comfort zones”, says Didoy Fullon, corporate director for human resources of TDLCI. “The experience grounded them, touched their core, and made them better individuals”. 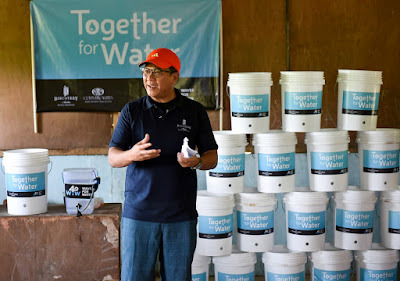 For more information on TDLCI’s #TogetherForWater project, and to take part of this laudable initiative, please visit https://bit.ly/discoveryadvocacy.